Charlie Adams Says the 2017 Winter Issue is Here! 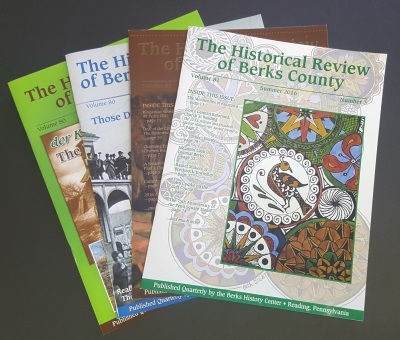 Thank You for Supporting the Berks History Center! Charlie Adams on Why Your Berks History Matters! How do Archivists Organize all that "Stuff"? What Exactly Do Archivists Do? How Do We Make Room for All This "Stuff"?! From the Archives: How to we accept artifacts into our collection? What are the Archives at the Henry Janssen Library?